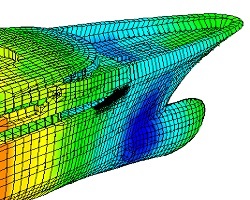 Due to the imposed high performance demands and increasingly complex nature of the modern structures, an increasingly common resortion to various finite element based methodologies can be noted in the contemporary structural analysis and design practice. MARIS NAVAL d.o.o. offers all types of FEM analyses of the complete (e.g. full ship) and/or partial (e.g. 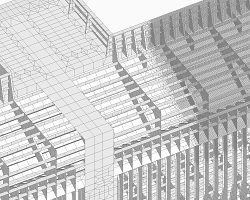 multi-hold, one-hold, one-bay, multi-deck, grillage, stiffened panel, structural detail) coarse/medium/fine meshed structural models in shipbuilding, offshore, aerospace, mechanical and civil engineering industry. This service can be provided within the framework of both distinctive aspects of the structural engineering: verification of the existing structural design and rational decision making support in all phases of the new structural design definition. 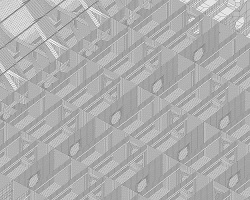 • Generation of the 3D CAD and FEM models of the considered structural design in accordance with the existing complete technical documentation (provided by the client in a hard copy and/or electronic form) and/or existing 2D/3D CAD models (*.igs, *.stp, or similar standard data format for exchange of the CAD models) of the complete or partial geometries of the considered structure along with the specification of all other essential materially-geometric properties. • Definition and application of the structural loads and boundary conditions in accordance with requirements of the relevant regulations, exploitational circumstances and a specific requirements of the client. • Thorough and multiple all-aspect check of the modeling of the considered problem. • Execution of the appropriate type(s) of analyses for all previously identified structural loading conditions/cases and evaluation of all relevant aspects of the obtained results in accordance with the criteria imposed by the relevant regulations and/or specific requirements of the client. • Generation of the detailed description of the considered problem, obtained results and all conclusions and recommendations based on the performed analyses and evaluations, existing knowledge and previous experience (with the similar problems) in a form of the technical report. Contents and organization of the technical report is tailored according to the specific requirements of the client and completed/approved technical report represents the final product delivered to the client within the agreed delivery term. On the other hand, rational decision making support in a process of the new structural design definition is usually more demanding and time consuming service, which requires more frequent and intensive interaction with the client. 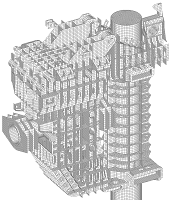 Since technical documentation is initially nonexistent in this case, definition and modeling of the initial variant of the considered structural concept is usually based on a very limited set of the available properties and/or incomplete 2D/3D CAD models of the predefined structural parts and previous (similar) structural designs. Furthermore, since at least a few different structural variants need to be considered in order to enable rational definition of the properties of the final structural variant, a considerably larger number of structural analyses needs to be executed in this case and a much larger quantity of the obtained results needs to be processed and evaluated. You can browse through our related references and contact us for further information and inquiries regarding your specific needs in this respect. Over the years of extensive involvement into numerous structural engineering calculations according to various regulatory procedures and acceptance criteria checks (e.g. yielding, buckling, ultimate strength, fatigue, vibrations) prescribed by the relevant institutional regulations (e.g. 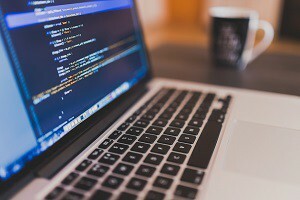 rules, standards and norms), a considerable amount of various in-house developed computer codes and applications accumulated within our repository. We participated in both collaborative and independent development of a wide range of customized software solutions (ranging from various engineering calculation codes and spreadsheets to standalone and integrated computer applications) intended to enable simpler and more productive workflows through implementation of the error-free, reliable and efficient computing and data processing within framework of the user-friendly, intuitive and streamlined Graphic User Interfaces (GUIs). 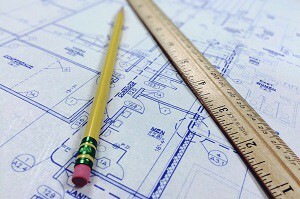 Within the context of our general business activities, an accurate and complete technical documentation is considered to be a media necessary for the proper conveyance of the essential information regarding all relevant aspects of the considered technical design in an entirely understandable and unambiguous manner. Its intended purpose is to enable practical realization and/or virtual modeling and simulation of the various aspects of the design’s lifecycle (e.g. production, exploitation, maintenance, repair, conversion, etc.). In this respect, our capabilities include a fast and accurate development and production of the various graphical and textual technical documentation content (e.g. drawings, instructions, specifications, descriptions, manuals, guides, etc.) customized in accordance with the particular organizational and aesthetical preferences of our clients, as well as convenient organization, preparation and dissemination of various results in a form of various publications (e.g. 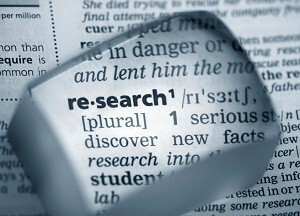 reports, presentations, articles, web pages, etc.). Notable academic careers of our core team members provided us with the comprehensive knowledge and extensive experience in scientific research and education related to the structural engineering. Over more than a decade of participation in various university-level lecture courses of the study of Naval Architecture (Ship structural strength, Adequacy and reliability of floating object’s structure) and study of Aeronautical Engineering (Strength and reliability of structures) at the University of Zagreb, Faculty of Mechanical Engineering and Naval Architecture, provided us with the valuable teaching and mentoring competences. On the other hand, a post-graduate education and participation in various collaborative domestic and international scientific research projects enabled us to gain a valuable insight into the state-of-the-art structural analysis and design methodologies and provided us with the essential knowledge, skills and opportunity for an active contribution to further development and advancement of the structural engineering theory and practice. In that respect, our scientific research achievements and contributions to the fields of structural reliability analysis and ultimate limit state analysis and design are disseminated through a number of published journal and conference papers and presentations. 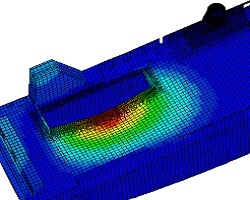 All this enables us to provide our clients with a wide range of research, development, education and training services regarding existing principles, concepts, methodologies and a corresponding modeling and simulation techniques encountered in the contemporary structural analysis and design practice.